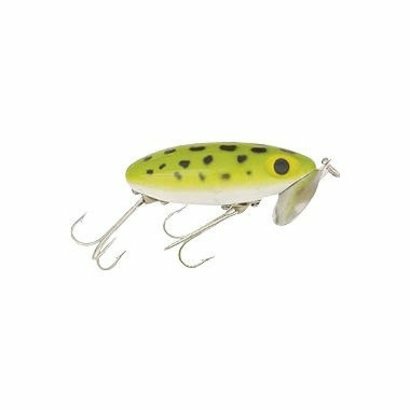 Jitterbug registerd trade mark Aborgast lures The Jitterbug, without a doubt, is the number one night time, topwater fishing lure of all time. On a steady retrieve, its concave lip creates a "plop-plop" sound while its body has a side to side action that fish cannot resist. It catches all types of surface striking gamefish. 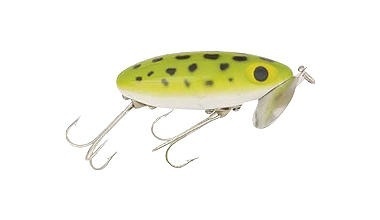 This lure is mainly fished during the warmer months of the year, especially full moon nights in the summertime.